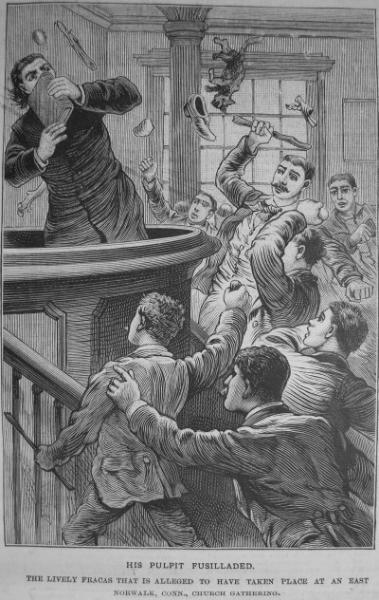 Home » humor , national police gazette » "...and a cat was thrown in the minister's face." "...and a cat was thrown in the minister's face." Props again to William A. Mays, the proprietor of The National Police Gazette, for keeping alive the spirit of this historic American publication!